Arrangement Of Seafood Appetizers On Rectangular Plate. Includes Shrimp, Lobster And Fish Meat On Skewer With Vegetables. Royalty Free Fotografie A Reklamní Fotografie. Image 62635635. Reklamní fotografie - Arrangement of seafood appetizers on rectangular plate. Includes shrimp, lobster and fish meat on skewer with vegetables. 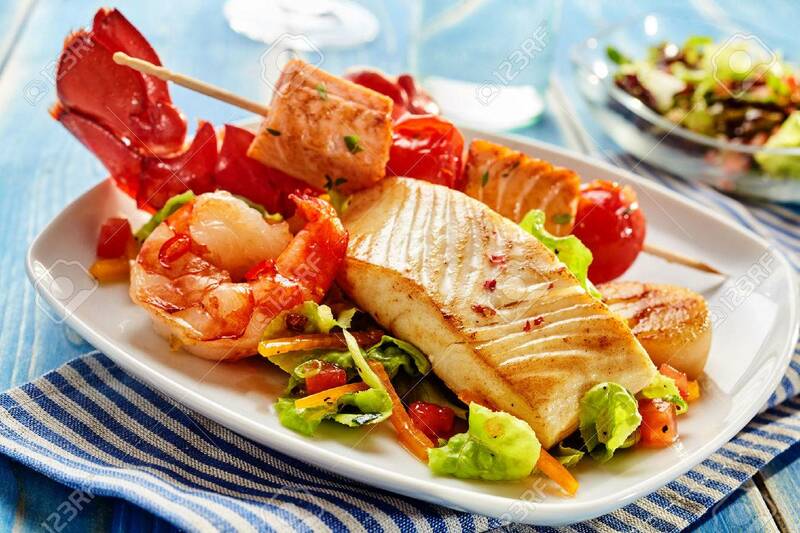 Arrangement of seafood appetizers on rectangular plate. Includes shrimp, lobster and fish meat on skewer with vegetables.